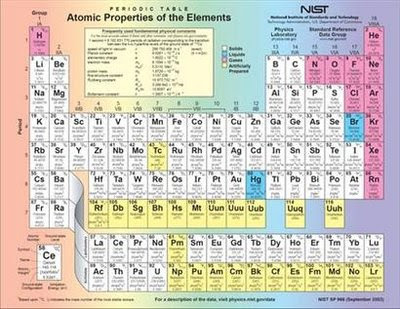 It is reported that Element 112 (current name: Ununbium, or 'one-one-two-ium', symbol Uub) has been added to the Elemental Table; it is the heaviest, and most dense, element known; it is also very rare, and as far as has been determine, there has only been one atom of it detected, in some cyclotron in Germany in about 1997. So. Dense. Heavy. Unique. What do we name it? And there may be many others, but they haven't been discahvahd." One-one-twoium is now COPERNICIUM. That's quite an honor, having an element named after you. I'm sure that somewhere he is pleased. Of course, there were only four atoms of it ever found.... frankly I think we should take one of those two elements lamely named after some village in Sweden (Yttrium and Ytterbium) and rename one of THEM after Copernicus. Then we could rename 112ium after someone truly deserving of having four atoms with the half life of a fly's short term memory appropriately honored. Obamium, anybody?